Machinima, screencast animated videos made in a virtual world, are still not a very well-known phenomenon, and there has been little reseach in relation to their use as a teaching material in English language classrooms. 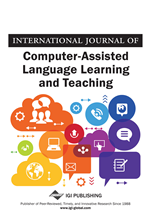 This study aimed to investigate the potential for and challenges in using machinima in the pre-intermediate English as a foreign language (EFL) classroom. Bespoke machinima were created for three classes in Nepal, and the lessons using them were observed. Two teachers and four students were given semi-structued interviews, and 20 students were asked to write a reflective note on their impression of the use of machinima. The findings of the study indicate that machinima are distinct from other materials in that they can be contextualized to address the needs, interests, and values of the learners. Student engagement is thus found to have been significantly higher. The increasing demand for technology in teaching and learning can be attributed to the ease with which it brings multimodality into the learning experience. Still images, colour, moving images, text, sound-effects, speech, music and so on can all work together to encourage and reinforce learning. A video resource can essentially have all these primary modes deployed in the service of language teaching and learning. Cisco, a computer networking company (2008) that studies the impact of multimodal learning (verbal and visual) reports that “students using well-designed combinations of visuals and text learn more than students who only use text” (p. 3). Thus, visuals or in this context, videos are seen to have a great potential for making learners understand more. They can be used in a range of ways: as an input for discussions, for writing assignments, for project work and so on (Sherman, 2003). They give access to people, places, and events that learners would not otherwise be able to experience. In this research, the videos that are used are 'machinima'1: screen captured episodes from a virtual world. The research explores the potential of machinima as teaching material in an English as a foreign language (EFL) classroom. Rainbow and Schneider (2014) claim that the ease of production of machinima make them an attractive option for language teachers who want to harness the power of video in the classroom. In our research machinima were created in the multi-user virtual environment (MUVE) called Second life. Rainbow and Schneider (2014) define 'virtual world' as “a 3D environment where people from all around the world join together in one space regardless of their geographical location” (Introduction, Virtual world, para. 1)2. It is a multi-user virtual environment (MUVE) that allows people to meet with a diverse community online without revealing their real identity. The graphical model that represents the visitor or resident in a virtual world is called an avatar. It is possible to be anyone or anything imaginable in a virtual world. A virtual world can thus be a rewarding place for language learners as they get the opportunity to mix with native speakers of the target language (Rainbow & Schneider, 2014). Panichi and Schneider (2012) also argue that virtual worlds offer the potential for interacting with remote learners, an aspect that has attracted educational institutions involved in e-learning and distance education. Amongst the range of available virtual worlds, Second Life launched in 2003 by Linden Lab (Savin-Baden, 2010) is still the most popular one. Machinima is a neologism using a blend of ‘machine’, ‘animation’ and ‘cinema’ having a typo in its original form (at first, derived from ‘machine’ and ‘cinema’ i.e., ‘machinema’) which led to the integration of the term ‘animation’ in its original form (Hancock & Ingram, 2007; Kirshner, 2005). Kirshner (2005) asserts that it is difficult to track the root of machinima; however, he says ‘Diary of Camper’ made by a group called ‘The Rangers’ is the first publicly distributed machinima having some storyline and dialogue. Kirshner further maintains that machinima are developed from a sub-genre called ‘Quake movies’ consisting of Speedruns and Frag movies. Since 'Quake movies' was a narrow term to describe videos made using a gaming software called Quake, the more inclusive term ‘machinima’ was later coined in 2000 (Kirshner, 2005). Machinima are screen captures of a real-time 3D virtual environment (Kirschner, 2005; Morozov, 2008). They are usually planned, scripted and edited to create short animated videos. Rainbow and Schneider (2014) discuss the machinima genre in relation to language teaching and learning. They claim that machinima can belong to several genres: documentary, poetry, storytelling, grammar or idiom explanation, conversation, heritage resource (based on historical events), humour, instruction, information, project, role-play, sketch (funny situation triggered through misunderstandings between avatars), intercultural training and advertising. These genres in fact, often overlap depending on the content they deal with. Sometimes, machinima are found beyond these genres too, for instance, machinima on teaching language functions do not fit the genres created by Rainbow and Schneider (2014).